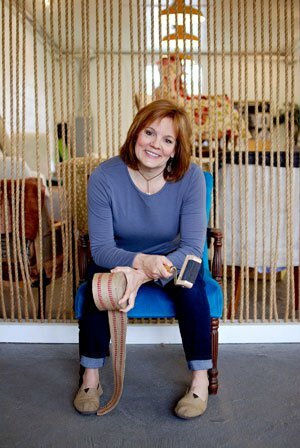 Shelly Leer is an expert in the art of upholstery. 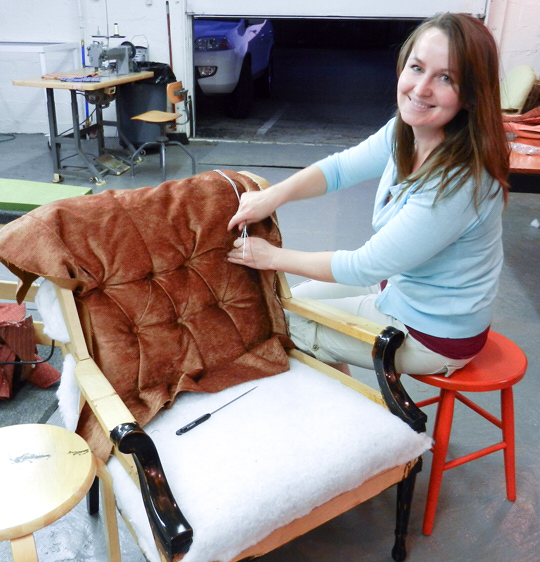 She’s been blogging since 2007 about DIY, but her wheelhouse is giving furniture new life with fresh fabric. You can find a ton of great projects on her website, ModHomeEc as well as HOUZZ. 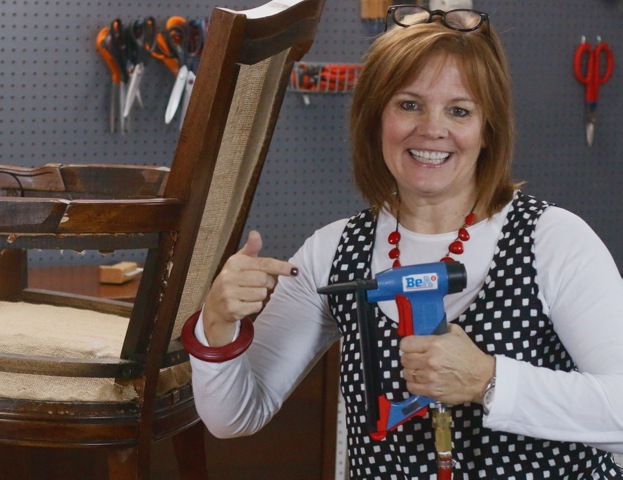 We’ve featured Shelly on Built by Kids where she stated her favorite tool was her trusty orange pneumatic staple gun, “Orangey”. It’s been with her for over fifteen years. She also loves her regulator. It looks like a long pointy needle, but with an angled plastic handle. You use it to poke under fabric and “regulate” the stuffing. It’s also used to tuck fabric in nice and tightly around posts and to make nice folds and pleats. We wanted to check back with Shelly and find out more about the current state of her workshop and tools. Who introduced you to making and building things? My dad was a custom homebuilder. I had three older brothers who got first dibs on trips to his job site, but he would occasionally let me ride along. I loved the smell of the upturned earth on ground breaking day, all the way up to the delicious smell of lumber that was being cut by the trim carpenters. I don’ t know whether it was a true affinity to the craft, or if I just loved getting one on one time with him, but building, making and creating have been the constant thread and anchor throughout my life. My mom was very creative in the area of recycling, upcycling, restyling and restoring. She taught me how to sew which enabled me to start creating my ideas. I owe every bit of my creative drive to her. If I saw anything I thought was cool, she told me I could make it myself, and I could make it better than the one I saw. I believed her. What feature of your workshop do you love the most? My shop is divided into a few different areas. Being an upholsterer, I love the open area with the sawhorses where the students set up their chairs to work. When everyone is quietly working, staple guns are snapping away, I stand back and look at the class fully engaged in this restorative, constructive activity, and I tell you, there is nothing better. I savor those moments and that vision. 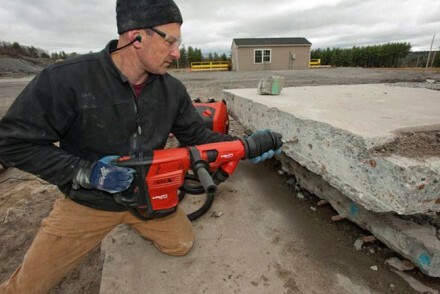 What tool(s) always stay in your toolbox and never go in storage? 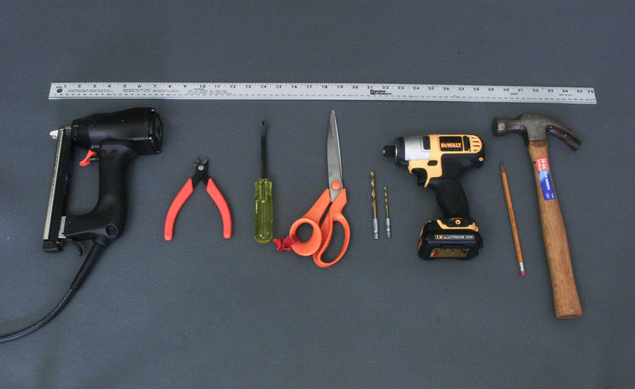 My impact drill, my pneumatic stapler and staple removing tools for upholstery. Are never put away. They are always by my side. 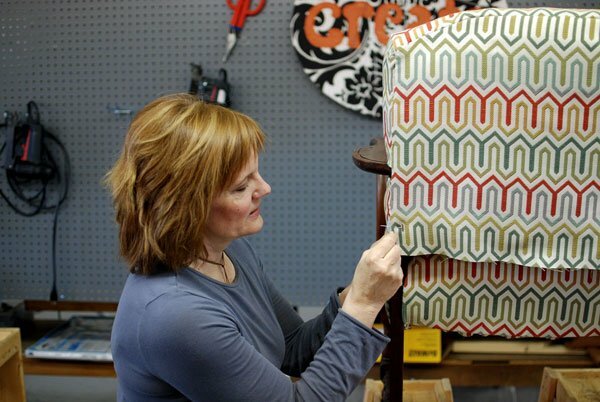 When I am teaching students upholstery techniques, I often sit down on a stool next to their chair to show them how I would do it. Sometimes they are working with tools I don’t prefer, so I always have my favorites with me. In a fire, what tool(s) would you save above all others? 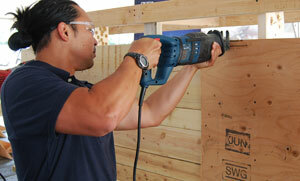 What task do you enjoy the most in your workshop? This will sound crazy, but I really love to sweep the floor after a hectic class or workshop is over and everyone has gone home. I need the time to unwind. I think I’m secretly very much of an introvert who works in an extrovert’s arena. I find that the sweeping gets me balanced out and calmed down. It’s very therapeutic to sweep away the mess and think about the class that just ended. Students try to grab a broom to sweep and I always tell them that I’ll do it, they can go home. It’s quiet, music is on, I feel like I’ve just taught people how to do something they didn’t know how to do when they walked in. The sweeping gives me something to do while I reflect whether I explained things well enough. What tool do you covet that you currently do not have? I would like to have a small wood lathe and know how to use it. I think I could create furniture legs that I can’t find anywhere else. 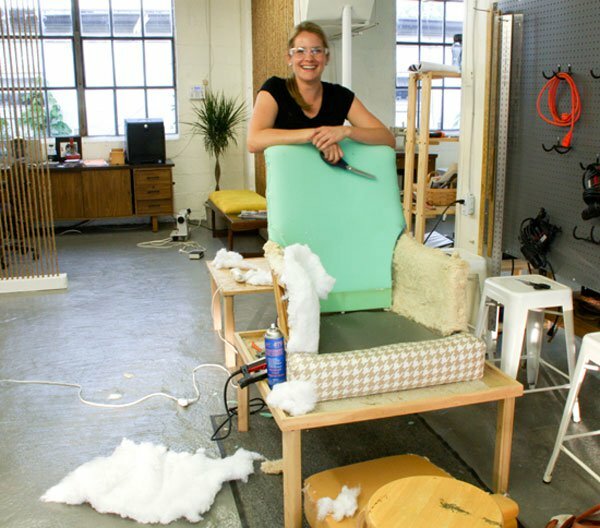 If you’re in Indianapolis you can take one of her amazing upholstery classes in person, or else check out her online upholstery bootcamp called Chair Up! It’s now open for registration and will start January 12th and run for 6 weeks. 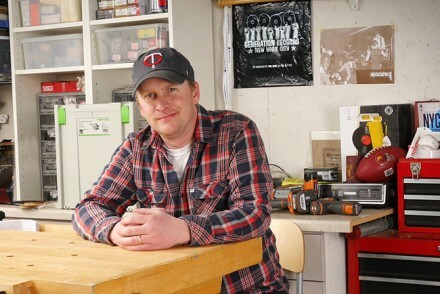 Timothy Dahl, DIY editor at Popular Mechanics and founder/editor of Charles & Hudson/Built by Kids, has always been fascinated with tools. 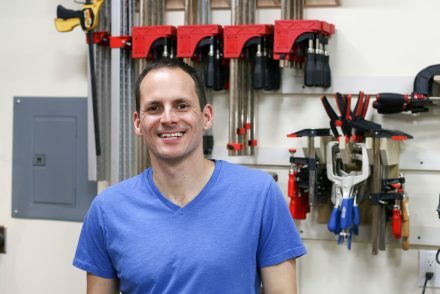 So he created Tool Crave as an excuse to interview makers, DIYers, builders and tradesman, to find out what tools they really use and why. These are their stories. © 2017 Tool Crave LLC All Rights Reserved.